What is the procedure to get a Dental Crown? At your initial assessment, you will discuss the options for your teeth. X-rays will be taken, maybe some models and you surgeon will discuss teeth whitening of the rest of your natural teeth, so the crown can be fabricated to match this. The weakened tooth is prepared by removing a small amount of enamel around the tooth, and impressions taken to send to the laboratory. A temporary crown is then fabricated to protect the preparation. 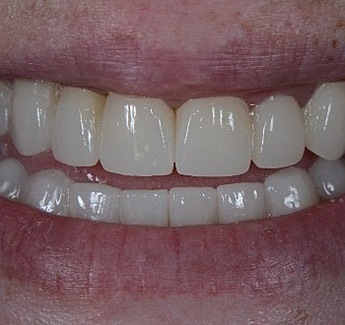 At the last appointment, the temporary crown is removed and the porcelain crown is fitted. The colour and fit is checked, and the bite is adjusted as required. Dental crowns can be made of full metal, porcelain fused to metal or full porcelain. In many situations where aesthetics are of high importance, patients may be advised to visit the laboratory to talk to the dental ceramist. He can then assess your teeth shade and shape and discuss your cosmetic goals to help achieve your perfect smile. Dental crowns last around 5 to 15 years. It is advised to wear an occlusal splint at night to protect your crowns and to increase their lifespan. If you experience any type of problem, you should feel free to report it to your dentist so they can make an evaluation and treatment recommendation. The temporary crown will be fitted again if you have been able to find it. If you have swallowed it by accident, a new one will need to be made. 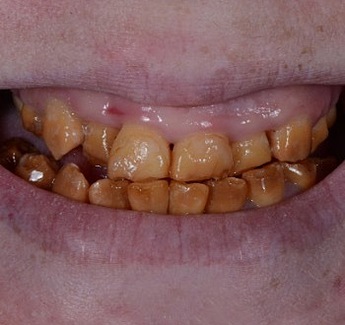 The temporary crown may feel too “high” once the anaesthetic is worn off in which case the bite can be adjusted to avoid other complications. damage, and the tooth may require root canal treatment. The temporary cement is not as strong as other cements, so as extra precaution please try to avoid hard or sticky foods, and do not floss around the temporary crown. Permanent crowns can experience all of the same type of problems as those fitted with a temporary one.The same events and circumstances that can lead to the need for a dental crown (such as tooth fracture, tooth decay or a lost filling) can also have a detrimental effect on a tooth in other ways. Hence, even a tooth that previously seemed just fine may begin to display some type of symptoms. A tooth may cause problems soon after a crown preparation has been done, or possibly even many years after a crown has been placed. (While the timing of the symptoms may seem suspicious), they're most likely an indication that all was not well with the tooth before the crowning process was begun. Unfortunately, the full extent of these problems may not be definitively identified beforehand. Sometimes after the crowning process has been begun, or even long after it's been completed, a problem with a tooth's nerve becomes apparent, thus creating the need for root canal therapy. The tooth may be tender to biting pressure or, at the other extreme, involve severe pain that lasts for hours. The discomfort may be triggered by a stimulus (hot things tend to set these teeth off, and the pain typically lingers), or else it occurs spontaneously. Often it has a throbbing, sometimes a radiating, nature. It is also possible that a tooth with a large crack may continue to have symptoms after the crown is placed. The crack is too large for the crown to keep the broken parts together. These problems may not be identified or anticipated with certainty during the diagnostic process, so please report them to us so we may treat you appropriately. A crown is a laboratory made prosthesis, which can help to regain the strength that a tooth has lost. The crown (or “cap”) encloses the remaining tooth completely, allowing many more years of function. It can also be used to enhance the aesthetics of worn or discoloured teeth. Good dental hygiene is critical in keeping infection at bay. Non-­smokers and patients with good oral hygiene habits put themselves in a much better position for a full and fast recovery. Smokers will typically be encouraged to stop smoking beforehand to improve the odds of successful surgery.